Services provided by and run through Notts County Council impact all of our lives on a daily basis. Whether it’s the roads we drive and cycle on, the social care provided to elderly relatives or the bus our children catch to school – the standard of our services and how they are paid for is a big issue for all of us. As county councillors, our aim is to provide the best possible, value-for money services to our residents - but we can only do this if people tell us how we’re doing, what we could do better and what they want to see from our services in the future. We recently launched our annual residents’ survey and budget consultation. It can be completed online now at www.nottinghamshire.gov.uk/residentssurvey or by picking up a paper copy from your local library before November 24. 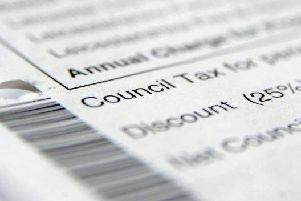 • Should council tax be increased or the amount spent on services reduced? • Should the council provide more information on ways people can improve their health and well-being? • Should the council operate more commercially to generate more of its own income? • How satisfied or dissatisfied are you with your local area as a place to live? Every response we receive is important and will directly influence how we improve services and find new ways to work more effectively and efficiently. Ten minutes of your time completing the survey can make a real difference. In the future, we’ve decided to take a more flexible, dynamic approach to the way we set our budgets. Any significant savings, increased spending or changes to the way a service is provided will be considered on an on-going basis all year round. This is a much better way of taking important decisions than dealing with everything at once as part of a big, unwieldy annual budget setting process. The new approach will allow us to respond to changes in circumstances throughout the year and encourage better debate, whilst recognising that efficiencies have, rightly, become part of everyday life for a modern council. Changes will still be subject to full consultation with those affected. Our financial climate means we will continue to have to make difficult decisions. We have a responsibility to the people we serve to be bold and creative in providing the value for money services you deserve.